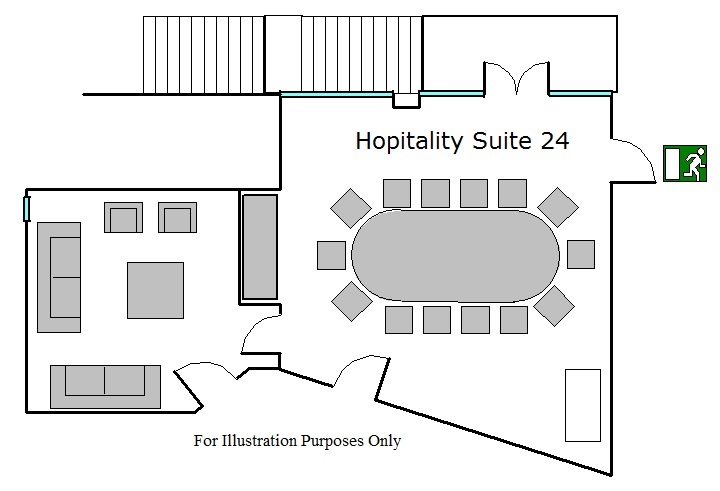 Accessible from the upper concourse, and overlooking the Convention Halls are three Executive Conference Suites. These suites are comprised of a main boardroom venue seating up to 14 delegates and an adjoining lounge section. These venues are ideal for private boardroom meetings and presentations or can also be booked as part of a larger event for organisers’ offices, media centres or VIP holding rooms. Each of these suites is fully equipped with boardroom table and executive conference chairs, automated screens, ceiling-mounted data-projectors and excellent audio. These venues also offer air-conditioning, a tea/coffee and refreshment station and complimentary Wi-Fi connectivity.